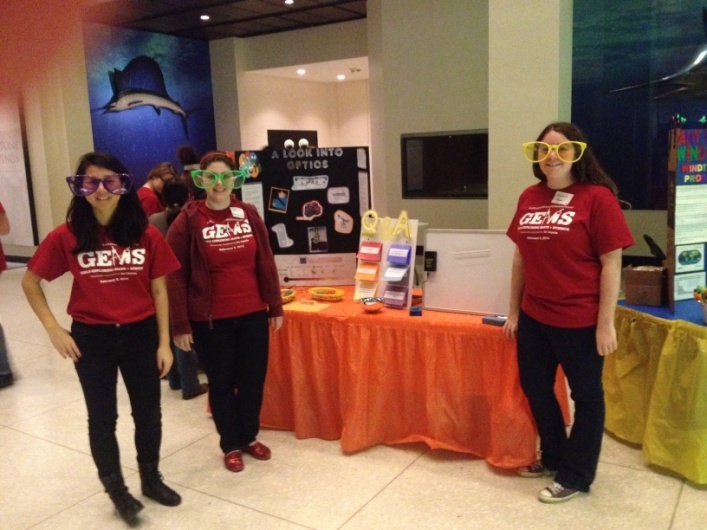 On February 21, 2015, The Houston Museum of Natural Science will celebrate our tenth year hosting Girls Exploring Math and Science (GEMS)! 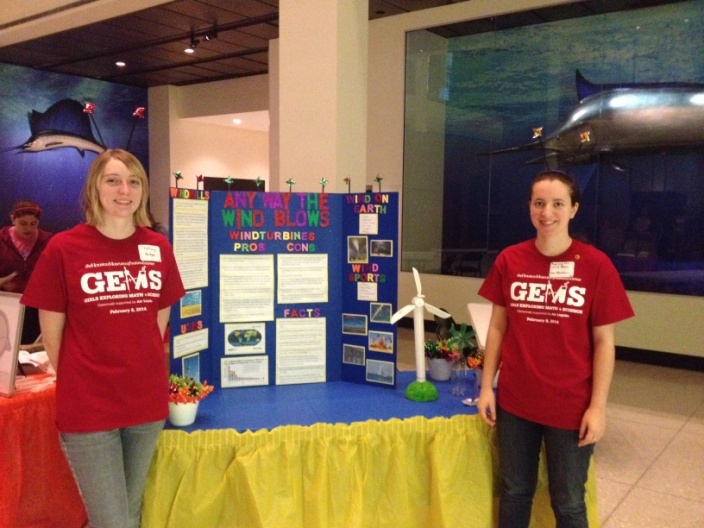 GEMS highlights student projects covering science, technology, engineering and math. It aims to increase interest in STEM through student presented projects, and highlight possible STEM careers as represented by our Community Booths. We had quite a turn out last year, and we are lucky enough to offer awards to the top student projects as selected by STEM professionals. 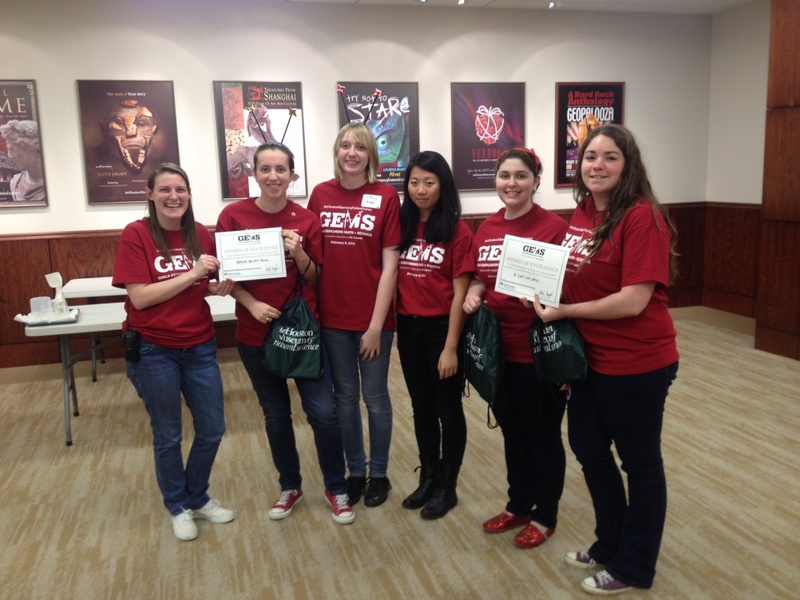 Here’s a story from two groups that won prizes at GEMS 2014! Girl Scout Troop 21318 represented two booths in GEMS – “Any way the wind blows” and “A look into Optics.” The girls were excellent at explaining their projects to both young visitors as well as professionals visiting their booths. “Any way the wind blows” was presented by Josie Blackburn and Tiffany Bridges, and they took a look at wind energy and its effects on the environment. They discussed the many ways that wind energy is used from wind mills to paragliding, and they even had a windmill generator to demonstrate wind power in action! Hannah Cox, Hanna Gano and Qiwei Li also presented at GEMS last year, but their project took on a different focus! In their project, “A look into Optics,” the girls used a laser to show how different lenses affect the focus on the retina of the eye. The girls showed other ways lenses are used outside of our eye, like with telescopes and binoculars. It was a really eye-opening project! Both groups from Girl Scout Troop 21318 won prizes for their STEM projects! We caught up with them a few months after GEMS to see how they used their winnings. Blackburn, Bridges, Li, Gano and Cox chose to give half of their winnings back to their school, Glenda Dawson High School. They wanted to give back to the people who had helped them with ideas and supplies – a great way to continue STEM education! 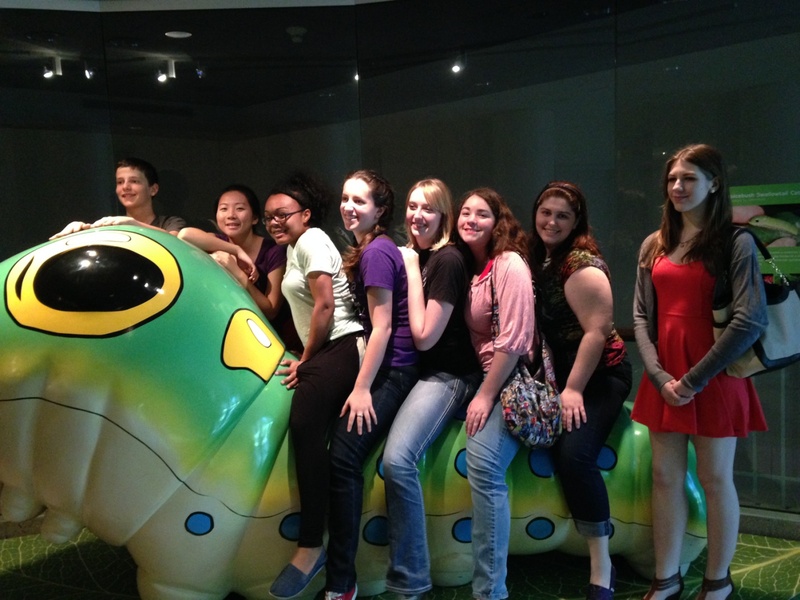 They used the rest of their winnings to take an educational trip to HMNS! They went on a docent tour of the Magna Carta Exhibit to see the infamous document on its only journey outside of the United Kingdom. The rest of the day was spent visiting the special exhibition Bulgari: 130 Years of Masterpieces, the Cockrell Butterfly Center and watching a film in our Giant Screen Theater. Of course a trip to the museum wouldn’t be complete without visiting the Moran Hall of Paleontology! All in all, it was a fun-filled day of Science! Troop 21318 has participated in GEMS for many years, and we wish them all luck as they graduate and go on to their next STEM adventures! We hope to have more projects like these at GEMS 2015! You have the opportunity to win prize money just like these girls! If you would like to participate in GEMS 2015, you can apply here. All it takes is a group of enthusiastic students, an adult chaperone and a project exploring science, technology, engineering or math. For more information, check out our GEMS page and download the application! Previous Post Paper to Predator: Making your own shark with sandpaper!